Suitable for: Gas, open fire and hoven. 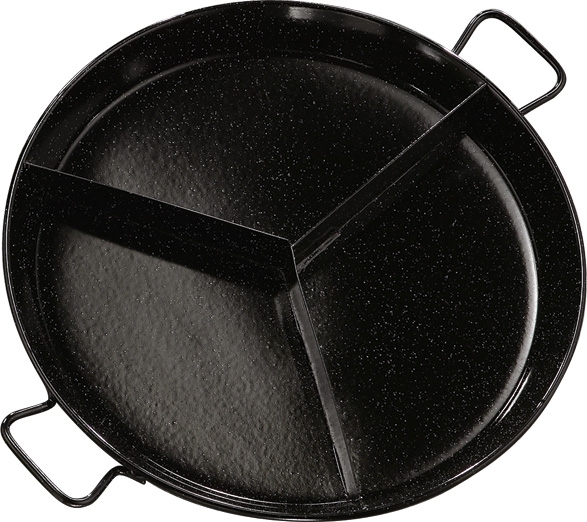 With our multitaste steel paella pans you will be cooking up to three different recipes at the same time. For instance, you can surprise your guests and clients cooking a paella rice dish with vegetables, a seafood rice dish, and a traditional paella dish with meat simultaneously. 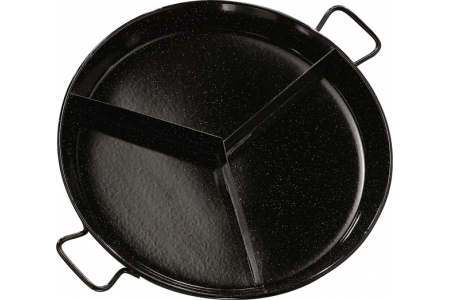 Their extra-thick steel makes them greatly resistent to heat warping, ensuring you will be using this paella pan for a long time.